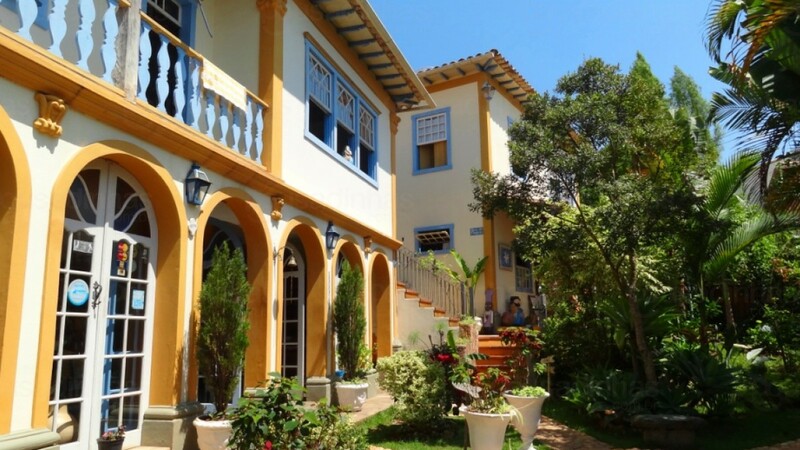 Find out which is the best region for Tiradentes you are staying! Its name pays homage to the city of "Tiradentes" which was called "Camp Old Santo Antonio" between 1702 and 1718. The inn was built following the same pattern of colonial architecture of the city with demolition material. The stories of the apartments and the coffee lounge form a beautiful architectural ensemble. Amenities in this room include a fan, minibar, TV with satellite channels and a private bathroom with hot shower. Suite with 11.5 m² and private bathroom. Equipped with double bed, racks for clothes, coffee table, set, refrigerator, TV Led 29 '' satellite TV and fan. Suite with private bathroom, balcony and partial views of the Sierra. Equipped with double bed Queen size, servants, colonial wardrobe, fridge, TV Led 29 "satellite channels, fan. Suite with private bath and integrated shower area to the room with 10m2. It had a bath for 1 person, double bed, clothes rack, created, Dad's couch, minibar, LED TV 29 "and fan. Spacious suite with private bathroom, tub for two, windows overlooking the neighborhood. Equipped with double bed, dressing table, sofa set, wardrobe, minibar, LCD TV 32, fan.